When a product has an extraordinarily high failure rate, that is always a cause for concern. When the failure rate reaches a double-digit death toll, there’s usually something going on behind the scenes. That was the case with Takata’s airbags that exploded in people’s faces and it was also the case with Goodyear’s G159. In both cases, the deadly devices killed numerous drivers and injured several more all while remaining on the market. How does this happen? Generally, it’s because the company settles these lawsuits quickly, quietly, and under seal. This can go on for years before anyone realizes there is an epidemic. Now, we can add another to that ever-expanding list: The Robinson R44 civilian helicopter. The R44 is named in dozens of injury and wrongful death lawsuits and is said to be responsible for 42 deaths of a 10-year period spanning 2006 to 2016. It has a failure rate of 1.6 deadly accidents per 100,000 flights. This is nearly 50% higher than other helicopters of its class. What is Wrong with This Helicopter? Robinson Helicopter Co. contends that the method for evaluating the helicopter overstates its propensity for failure. They also maintain that their helicopter is safe when used properly and within defined limits. 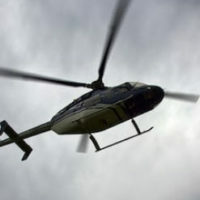 The argument, they say, is that due to the popularity of their helicopter, flight and use times are underreported when compared with other helicopters of the same class. Indeed, Robinson’s R44 remains one of the most popular helicopters for flight instructors, recreational pilots and sightseeing companies. Also true, however, is that many pilots and passengers have been killed from after-crash fires that could have been prevented. Sometimes, the helicopters simply lose lift in midair. In other cases, the rotor blades have slashed through cockpits or tail booms. Pilot error does cause helicopter crashes. Of that there can be no doubt. But even when pilot error causes crashes, the situation can be exacerbated by a lack of safety features that could have prevented the pilot (or their passenger’s) deaths. Such was the case of Jim Belcher who died in a helicopter crash that was deemed his fault. In this case, the fuel tank split in a low-impact crash that ended up killing Belcher. While a case can be made that Belcher was at least partially responsible for the accident, does the company that manufactures the helicopter have a duty of care to provide safety features that mitigate the risk to pilots and passengers? The answer is most likely yes. Not only is Robinson aware of the problem, it has caused the deaths of numerous other pilots some of whom may not have been to blame. The FAA has failed to respond to concerns from families of victims and the helicopters continue to be produced without upgrades. Since 1982, there have been over 600 deaths in Robinson helicopters which have resulted in 65 wrongful death and product liability suits against the company. Gillette Law in Jacksonville has helped families of those taken in preventable accidents recover damages for their loss. We have also helped numerous injured parties recover damages for their injuries. If you’ve been injured, please give us a call or contact us online.